Excellent little group with a great repertoire. Got everyone of all ages up and dancing from start to finish, and such lovely, friendly people. Will happily have them along again to an event in the future. Vinyl Beats Trio were a great hit at our wedding. We had discussed the type of music to play prior to the day and they had provided me with a set list. On the evening they read the mood really well and kept us dancing all night. 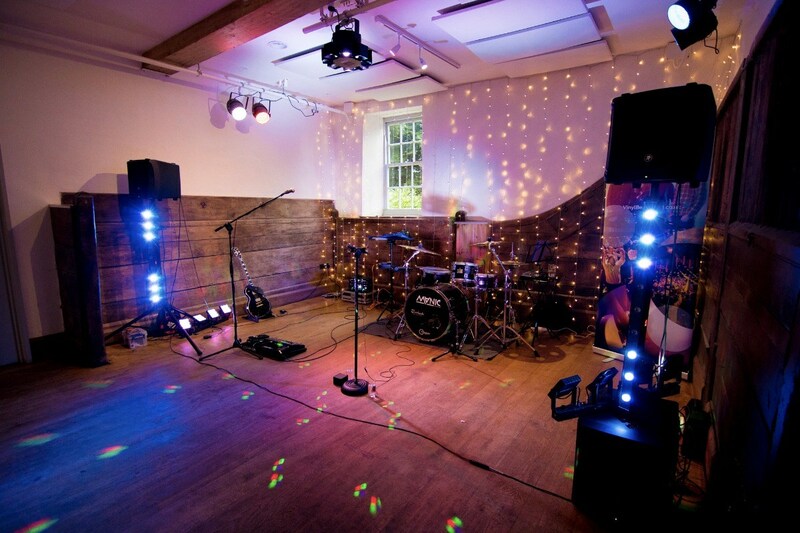 The quality of their performance was outstanding and so many of our guests commented on how good they were. We were also very happy with the first dance song which they learnt especially for us. Their performance was great end to a really fantastic day! 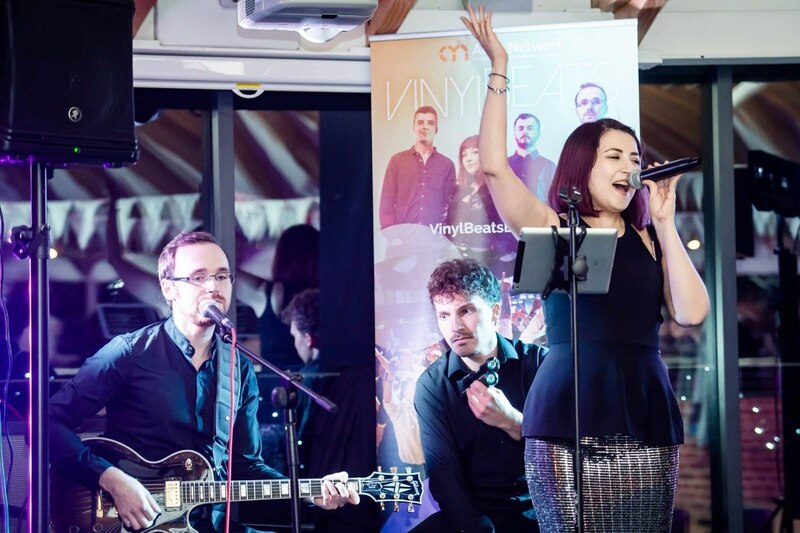 Vinyl Beats were amazing, right from meeting them at a wedding fair more than a year before until our wedding day, and I've had so many compliments from guests who said that they loved them too. 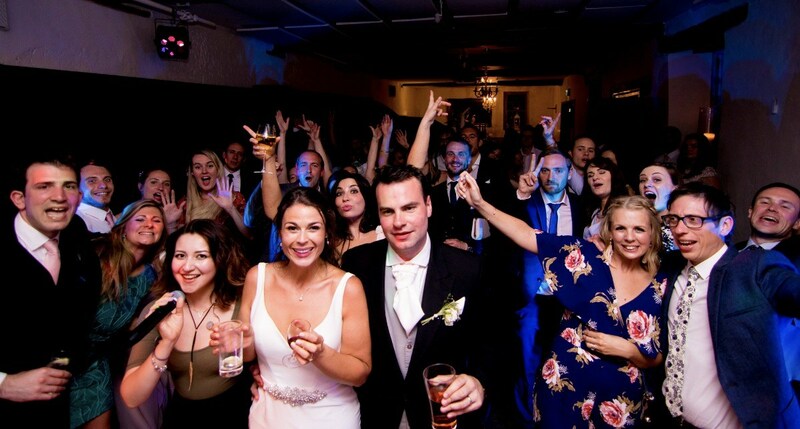 They learned our first dance song for us and absolutely smashed it, and invited everyone else to join us quickly as I wasn't looking forward to it on our own! Thank you guys so much for being so friendly and easy to work with, and for making our wedding reception awesome! Adam and I just wanted to send a huge thank you to you and your band for helping to make our wedding day so incredibly fun! The music was fantastic and everyone has been saying how much fun they had and how great the band were. And we loved your version of our first dance song! Thank you also for being so friendly and easy to communicate with ahead of the day, it really means a lot to have your mind put at rest when organising things during the build up. Vinyl Beats played on my 40th bday. They are easy going people. Agreeing to the songs went smoothly - they came on time and were very organized. Very nice and friendly people. Our guests were amazed and did not stop dancing to their beats. I would like to thank you for your full professionalism! You are top notch! Sabina has great voice! Thank you again and I will definitely recommend you guys!!!! 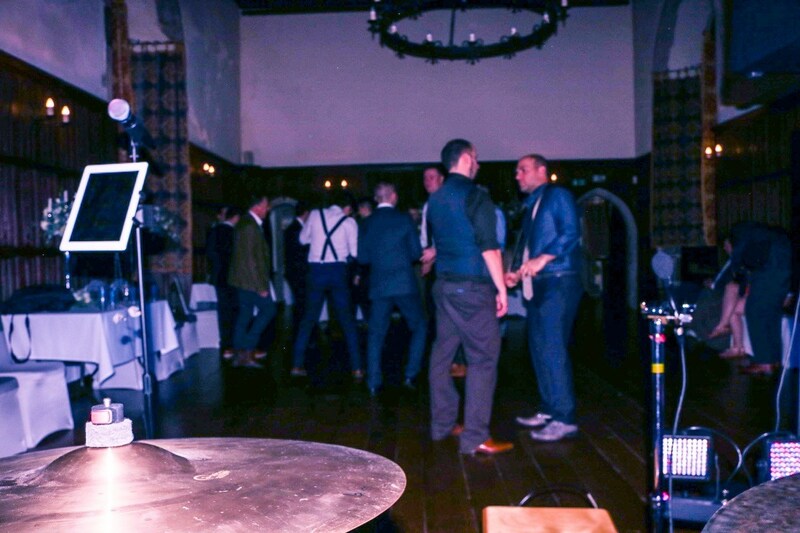 Vinyl Beats performed at my wedding this weekend (14th Jan). The band performed three live sets for us with a DJ playlist between each. We wanted three distinct genres – acoustic/chilled, 80s camp and modern/upbeat. We asked that they learn Mary Lambert's 'She Keeps me Warm' as our first dance and Sabina's vocals seemed perfectly suited for it. I have to say that we couldn't have been happier with how they performed on the night. Our guest-list included a varied mix of around 30 of the South-East's most discerning gay men on the one hand and family members of all ages on the other. Not the easiest crowd to please but Vinyl Beats had everyone on the dance-floor all night long. Alex was really good to check that we were happy with everything on the day. We've had so many positive comments from guests about the band and they were so easy to communicate with that I have absolutely no reservations in recommending them to anyone looking for an incredible wedding band! Vinyl Beats played for us at our wedding reception on 1st October this year. 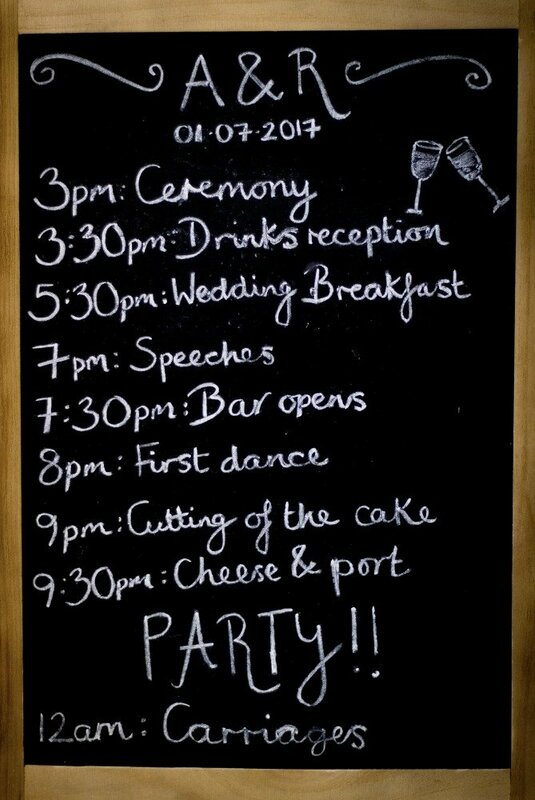 They were easy to deal with before the event, and helped put together a great playlist including learning a new song for our first dance. 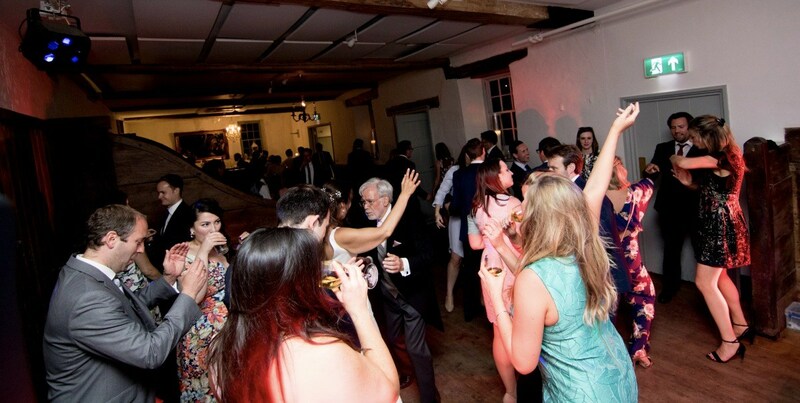 They adapted to the mood of our guests and kept everybody dancing and having a great time. 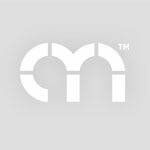 They are a professional operation and I would definitely recommend their services! With thanks, Jeremy and Rachel. Thank you very much for your performance on Saturday night, it was a great night and a roaring success to which your music play list and approach went along way to making it. Thanks again - Vinyl Beats are certainly a top class act!